Science on the Run: Not All Fitness Trackers Are Created Equal | Run S.M.A.R.T. Here’s how it went: 52 participants had their physical activity levels measured during sedentary activity, aerobic exercise and resistance exercise while wearing five wrist-worn commercially available trackers (Fitbit Flex, Jawbone UP 24, Misfit Shine, Nike+FuelBand SE, and Polar Loop) as well as two research-grade trackers and a portable metabolic system (which will measure oxygen consumption to dictate energy expenditure). The result: The research-grade monitors provided the most accurate estimate of energy expenditure, while the Nike+FuelBand also presented relatively little error (< 20% mean absolute percent error) in its measure of energy expenditure during aerobic activity. 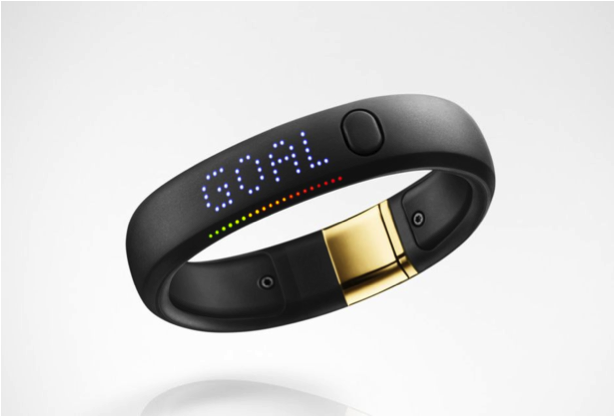 Monitors that reported relatively little error in a sedentary state include the Fitbit Flex, Jawbone UP 24 and the Nike+FuelBand. Large error was reported for energy expenditure during resistance exercise. What this means: Not all fitness trackers will measure energy expenditure equally, or with complete accuracy. While it seems most are more accurate during sedentary behavior, most runners are interested in the monitor’s ability to measure accurately during running, also. This makes the Nike+FuelBand the best commercially-available choice (of the five presented). A final comment: Whether your fitness tracker is accurate in its measurements or not, the hope is that it will be reliable and consistent so you can measure your day-to-day variability in physical activity. Use caution when supplementing your nutrition based on ‘calories burned’ as this is where most of the discrepancy from what is true occurs. Many of these wearables also come with great software platforms that connect with cell phones and social media, making the decision about which to purchase that much tougher!